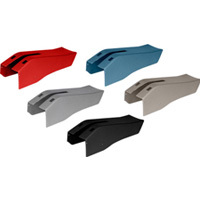 New center consoles and gauge clusters for third generation Corvettes are available at Corvette Mods. 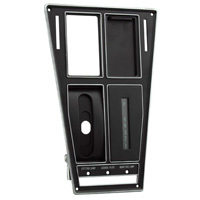 All parts are manufactured to exact GM OEM specifications. Of course, third generation Corvettes were manufactured between 1968 and 1982 so the C3 designation covers a large range of vehicles. As such, the center console or gauge cluster for a 1969 C3 Corvette will differ from this package on a 1981 Corvette. In addition to shopping by the generation of Corvette, you can find parts at Corvette Mods based on the specific model year within the generation structure. For example, when completing a C3 rebuild, the ideal scenario calls for installing gauge clusters from your specific model year in your vehicle rather than generic gauges. Parts from Corvette Mods make this situation a reality. Your vintage Corvette will look as good as new with our available parts.